Gasco Calibration Gas Cylinder with Methane (CH4) 25% LEL and Oxygen (O2) 19%. Balance Nitrogen. Available Sizes 17, 34, 105 and 221 Liters. > NON-REACTIVE MULTI MIXTURES > METHANE + OXYGEN : 8 Items found. Gasco Calibration Gas Cylinder with Methane (CH4) 50% LEL and Oxygen (O2) 18%. Balance Nitrogen. Available Sizes 17, 34, 105 and 221 Liters. Gasco Calibration Gas Cylinder with Methane (CH4) 30% LEL and Oxygen (O2) 18.5%. Balance Nitrogen. Available Sizes 17, 34, 105 and 221 Liters. Gasco Calibration Gas Cylinder with Methane (CH4) 50% LEL and Oxygen (O2) 19%. Balance Nitrogen. Available Sizes 17, 34, 105 and 221 Liters. 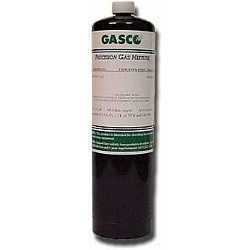 Gasco Calibration Gas Cylinder with Methane (CH4) (1.62% vol.) and Oxygen (O2) 18%. Balance Nitrogen. Available Sizes 17, 34, 105 and 221 Liters. (MSA 476304) Gasco Calibration Gas Cylinder with Methane (CH4) (1.45% or 58% LEL Propane simulant) and Oxygen (O2) 15%. Balance Nitrogen. Available Sizes 17, 34, 105 and 221 Liters. (DYNAMATION 7800-010) Gasco Calibration Gas Cylinder with Methane (CH4) 20% LEL and Oxygen (O2) 19%. Balance Nitrogen. Available Sizes 17, 34, 105 and 221 Liters. (DRAEGER 4557019) Gasco Calibration Gas Cylinder with Methane (CH4) 50% LEL and Oxygen (O2) 17%. 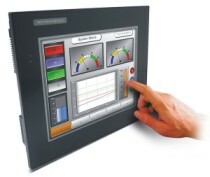 Balance Nitrogen. Available Sizes 17, 34, 105 and 221 Liters.